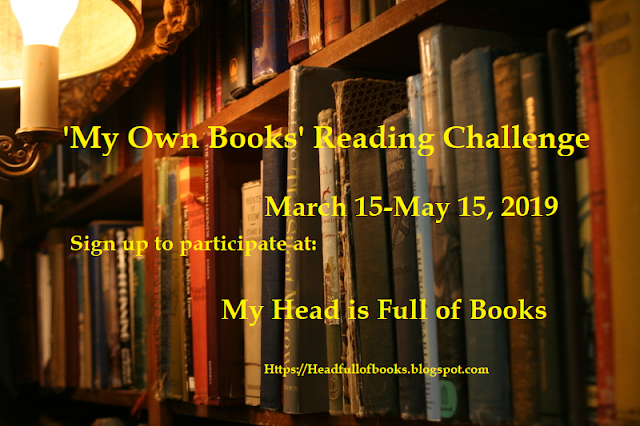 My head is so full of books I have to share my love of literature and more! In July 2017 I was made aware of the poetry collection, Cries of the Spirit: More Than 300 Poems in Celebration of Women's Spirituality, edited by Marilyn Sewell. 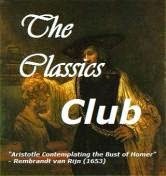 The collection had been in publication a long time, since 1991, so I had no trouble tracking down a used copy of it. Taking my time, obviously, I've been savoring the poems for this past year and finally completed the collection this week. All the poems are by and about women and are loosely arranged according to topics: Owning Self; The Imperative of Intimacy; Mothering; Generations; Death and Lesser Losses; Brokenness and Alienation; Toward the Good; Sacredness in Ordinary Life; Unity; Divine Images; The Word; etc. Some of the categories contained poems which really spoke to me while others, not so much. In fact, if all these poems were in the usual small poetry volumes available on book store shelves according to their categories, it is unlikely I would have read them all. "Two girls discover/ the secret of life/ in a sudden line of/ poetry.// I who don't know the/ secret wrote/ the line...//I love them for finding what/ I can't find.// And for loving me/ for the line I wrote;/ and for forgetting it/ so that// a thousand times, till death/ finds them, they may/ discover it again..."
I am guessing that people who say they don't like poetry, or reading it anyway, try to get too much from each poem instead of just a precious line or phrase that speaks to the heart at that second. Today I stumbled upon this line from "Spring Fragments" by Betsy Sholl: "coming to the end of spring/ my grandmother kicks off her shoes./ steps out of her faltering body." Yesterday these lines might not have touched me, but today I am thinking about the death of parents. Tomorrow we will scatter the ashes of my husband's father. Today I am reminded, by poetry, that Chet needed to go, he had to step out of his faltering body. Death can be a good thing. And Alice Walker's poem Goodnight, Willie Lee, I'll See You in the Morning" reminds me "...that the healing/ of all our wounds/ is forgiveness/ that permits a promise/ of our return/ at the end." Though written years ago, many of the poems spoke to me of today's issues, "Mother's Day Proclamation of 1870" by Julia Ward Howe, the famous suffragette, wrote over a century ago, "Arise, then women of this day!/ Arise all women who have hearts,/ Whether your baptism be that of water or of tears!" I was just reading today that more women a running for political offices this year than ever before. We have been baptized by tears these years under Trump and we will arise just like our sisters arose one hundred years ago to ensure our right to vote! who do what has to be done, again and again." Annie Dillard goes on the same theme in "Holy the Firm": "Who shall ascend the hill of the Lord? or who shall stand in his holy place? There in no one but us. There is no one to send, nor a clean hand, nor a pure heart...But there is no one but us. There never has been." I can't sit around and hope that someone cures what ails us as a nation. I have to do something. Me. And Joy Harjo spurs me on with "Eagle Poem": "To pray you open your whole self/ To sky, to earth, to sun, to moon/ To one whole voice that is you." Yes, I must listen to the internal wisdom within me. This thought from Pat Mayne Ellis's poem "Scientists Find Universe Awash in Tiny Diamonds" delighted me for weeks after reading it. Nay, it still delights me. Apparently Ellis read that microscopic diamonds from outer-space are everywhere, "...we are all precious/ that we are awash in creation/spumed with diamonds/ shot through with beauty." I walk around now seeing diamonds everywhere...in the smiles of others' faces, on the flap of the wing of a bird, in the pout of a child. Delightful! Anne Sexton seems to have written "Welcome Morning" just for me since she refers to herself as Anne and we spell our names the same way. Here she reminds herself (or me) to give thanks to God for the simple things: her house, the chair, the coffee, the bird singing outside her window: "The Joy that isn't shared, I've heard, dies young." 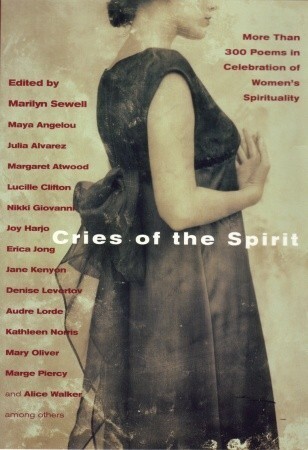 The best thing about poetry collections like Cries of the Spirit: More Than 300 Poems in Celebration of Women's Spirituality is I can place it on the shelf and pull it down whenever the mood strikes. And when it is reread other poems, lines, fragments will delight and instruct. I hope I've convinced you to read a few poems today and to look for the treasures within them. I like the idea of a poetry book with a variety of authors so that there is a variety of styles united by a theme. 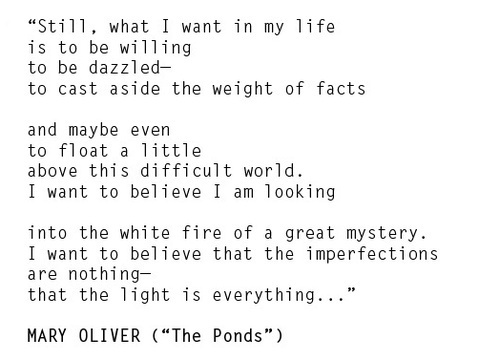 I love poetry, and that Mary Oliver one is amazing! 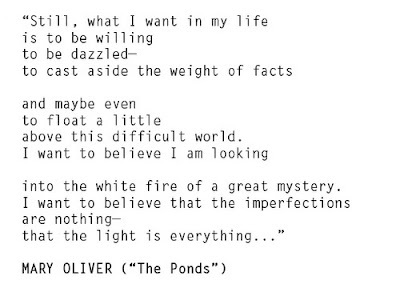 (I'm stealing it) It speaks to my heart, which is the power of good poetry. Your turn. Please comment below. 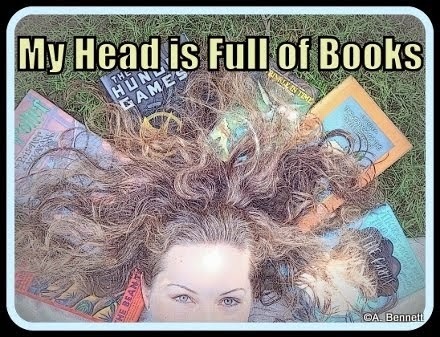 © Anne Bennett and My Head is Full of Books, 2009 to current date. Unauthorized use and/or duplication of this material without express and written permission from this blog’s author and/or owner is strictly prohibited. Excerpts and links may be used, provided that full and clear credit is given to Anne Bennett and My Head is Full of Books with appropriate and specific direction to the original content. WILD & WONDERFUL WEDNESDAY: Hello, I'm Here!/Bloom Boom! The Texas Library Association Conference: Books, Authors, and So Much More! It's Monday 4/22! What Are You Reading? Anne has read 16 books toward her goal of 100 books. Austen in August---It's a Wrap!